"A POX ON BOTH YOUR HOUSES"
"History Moved Faster Than The Canadian Government"
Increasingly, the Canadian public was calling for official adoption of a distinctive flag. The Manitoba Free Press suggested blue stars in the shape of the Big Dipper on a white background; a contest in La Presse in 1926 produced several hundred designs from three provinces. 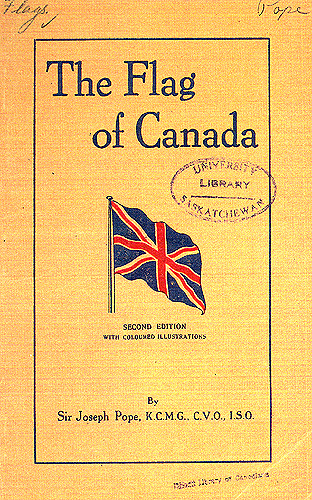 In 1928, under the heading "Time for Action," the Winnipeg Free Press was prompted to write: "Let Parliament authorize...a distinctive Canadian flag, showing the Union Jack, a maple leaf, the North Star, or some insignia that speaks for Canada, and it will be found that the Canadian people warmly approve. A people without enough gumption to provide a flag for themselves to speak to them of their own country and their faith in their country will never amount to much." 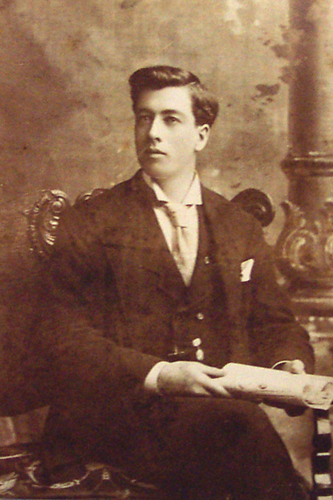 In 1912, John S. Ewart and Sir Joseph Pope (Under Secretary of State for External Affairs) argued in print over the appropriate flag for Canada. 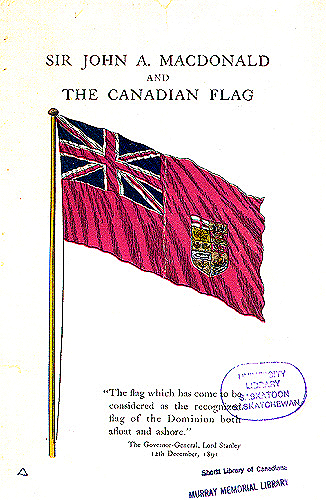 Ewart, noting "the steady, secular advance toward Canadian independence," argued for formal adoption of the Red Ensign; "Canada is...very nearly free of its swaddling-clothes, and most naturally it has commenced to provide itself with a flag...And the flag that has been adopted is extremely appropriate to our equivocal situation, namely, the red ensign with the Union Jack in the corner - indicative of colonialism, and the Canadian coat-of-arms in the fly - indictative of individual existence." Mackenzie King had gone so far as to appoint a committee to look into the issue, then dismantled it before it reported. The debate continued in the House of Commons throughout the 1930s, often as a result of private members' bills. 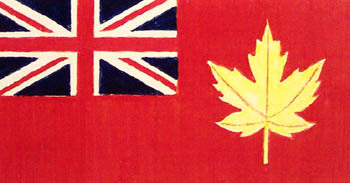 In October 1945, by Order-in-Council, King authorized the Red Ensign to be flown "until such time as action is taken by Parliament for the formal adoption of a national flag..." One month later, the government introduced a motion appointing a committee to "consider and report" on a distinctive national flag. This time, the committee actually met - and were inundated with over 2,000 designs and 42,000 letters from the public. Months later, they presented their recommendation: that the flag of Canada should be "the Canadian Red Ensign with a maple leaf in autmn golden colours replacing the Coat of Arms." 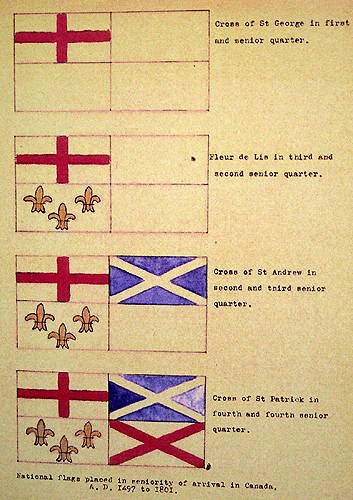 The Ensign, containing a Union Jack in the upper staff corner, was unpopular across the country but particularly in Quebec. King refused to accept the committee's recommendation on the grounds that it had not been unanimous. Sixteen years later, in the 1962 Speech from the Throne, John Diefenbaker's government promised "As another means of making manifest the Canadian identity, [we] will invite the provinces to a conference for consultation regarding the choices of a national flag and other national symbols." Asked by a reporter regarding the introduction of a bill for a distinct Canadian flag, Alvin Hamilton, a minister in Diefenbaker's government, laughed and said, "Too hot." 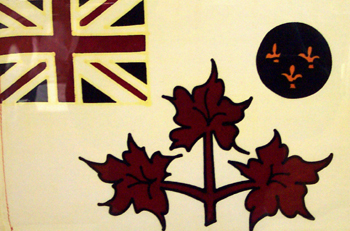 Flag designed circa 1946; found in storage and sent to John Diefenbaker's office; 11 July 1964. One star represents the Territories and the nine remaining stars, the provinces: Newfoundland had not yet joined Confederation. 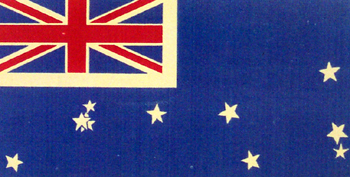 "The theme of this flag is simply 'Commonwealth and Confederation.' Recently there has been much discussion concerning the adoption by Canada of a distinctive Canadian flag. It has been suggested that a distinctive flag would do much to promote Canadian unity and make people more conscious of Canada's status as an independent nation." Anonymous flag design, ca. 1946, sent to"all members of the Senate and Members of Parliament and to all daily newspapers in Canada. 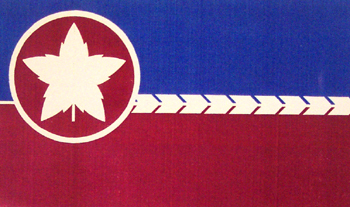 The Flag's Theme: Two great races, united in nine provinces under one central government. The chevrons [arrows]...represent the first possessors of Canadian Soil, the Indians...[and are] not only emblematic of Canada's past, but also of its future [as they are] indicative of unlimited progress." In 1946...when a new flag was called...The design, the Red Ensign with a gold maple leaf in place of the coat of arms was chosen. This was designed by my brother...This design was chosen from over 2,500 designs. HOME | "THIS FLAG QUESTION" | "HISTORY MOVED FASTER..." | "PEARSON'S PENNANT"
"HOPING TO END THE STRIFE": DESIGNS | "ALLEGIANCES..."